The Moroccan authorities continue the systematic policy of harrasing the Sahrawi activists. 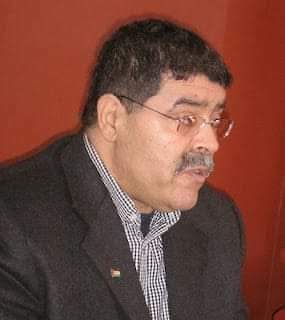 This afternoon 22/03/2019 the Moroccan gendarmerie stopped the Sahrawi human rights activist Hmad Hammad and his family in the southern entrance of Gdeim Izik cemitery which is in the eastern side of Occupied El Aauin. The Sahrawi human rights activist Hmad Hammad and his family were on the way to visit the grave of their mother who died recently but were prevented from doing so in an arbitrary action from the gendarmerie, which is illegal and an retaliatory step towards the family.